Paying homage to the Brazilian culinary, the samba school from Ilha do Governador will be the third to star at the Sambódromo on Monday, February 12th. RIO DE JANEIRO, BRAZIL – On Monday, February 12th, União da Ilha samba school will be starring at Rio’s 2018 Carnival in the Grupo Especial championship. Expected to enter the Sambódromo at 11:25 PM, the school promises to make everyone’s mouth water with a samba enredo dedicated to Brazil’s culinary. For the ninth consecutive year, União da Ilha parades in the Grupo Especial representing the neighborhood of Ilha do Governador, in Rio’s Zona Norte, photo by Gabriel Monteiro/Riotur. União da Ilha has been parading in the Grupo Especial since 2010, after being first placed in the Second League of samba schools with the enredo “Viajar é Preciso – Viagens extraordinárias através de Mundos conhecidos e desconhecidos”, portraying the extraordinary travels of History. Going through the good times and the bad, União da Ilha have continued a successful path since 1960, the year of its debut at the Avenida. Having first started in Grupo 3, the Third League of Samba Schools, União has been doing a great job for 8 years now, managing to keep its privileged place at Grupo Especial. União’s first official parade happened in 1960, but the school was founded in 1953, in Ilha do Governador (island and neighborhood from Rio’s Zona Norte). It was created by three friends who realized that Ilha do Governador lacked a competent samba school to represent the neighborhood. Today, the school’s headquarters are situated at the Galeão Road, in the sub-region of Cacuia. Some of the most renowned contemporary and traditional Brazilian chefs will parade with União da Ilha, which will honor Brazil’s culinary this year, photo by Fat Press/LIESA. Even though União da Ilha never conquered the so longed-for first place in the Grupo Especial championship, in 2014 the school was awarded with Jornal O Globo’s “Estandarte de Ouro” for best samba enredo and best “mestre-sala” (man responsible for presenting the school’s flag to the audience). This year, União da Ilha enters the Sambódromo with “Brasil Bom de Boca”, samba enredo dedicated to the delights of Brazil’s culinary. Directed by carnavalesco Severo Luzardo, the parade will tell the history of the Brazilian food by presenting the Portuguese, the Indigenous and the African cultural influences. Aimed at portraying both the traditional and the contemporary culinary, União will bring to the Sambódromo some of the most renowned Brazilian chefs, like Claude Troigros, Roberta Sudbrack, Ana Luíza Trajano and João Diamante, and the ones from Feira das Yabás, typical market in Madureira (Zone Norte), dedicated to the Afro-Brazilian culinary and music. “Food is part of our history. It is a gathering element, it is part of people’s culture. And it does not need to be sophisticated. Still, a dish will only please if it looks good and that is what União da Ilha will offer this Carnival: aesthetics, beauty and joy,” said Luzardo to media outlet G1, who guaranteed that favorites from Brazil’s culinary, like brigadeiro and pão de queijo, will also “walk” on the Avenida. 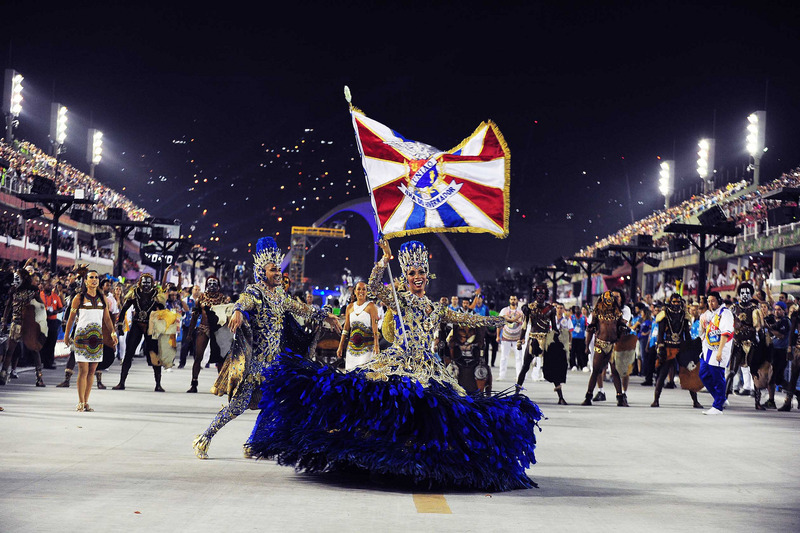 Those interested in participating in Carnival 2018 still have the opportunity to walk on the Sambódromo with União da Ilha samba school. In order to purchase a costume, click here to access União’s official website.